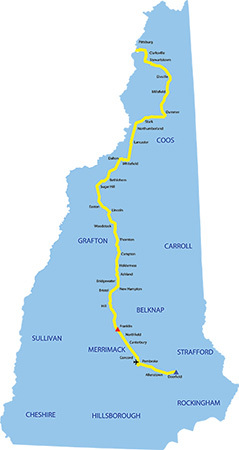 The NH Site Evaluation Committee’s Counsel for the Public insists that he has consistently reached out to the business community to gauge its concerns when it comes to the impact of the proposed Northern Pass hydroelectric transmission project. In an email to NH Business Review, Senior Assistant Attorney General Peter Roth, who is acting as Counsel to the Public in the SEC’s Northern Pass proceedings, refutes claims made in two recent letters sent to the panel by businesspeople claiming that those concerns are not being heard. The two letters, one sent on Feb. 8 by the presidents of the Greater Manchester and Greater Nashua chambers of commerce and the other sent on Feb. 13 by top executives of BAE Systems Electronic Systems in Nashua and Globe Manufacturing Co. in Pittsfield, charge that, because they were denied their requests for intervenor status in the SEC’s Northern Pass case last spring, their “interests and concerns” aren’t being included in the Counsel for the Public’s submitted reports and testimony. Both letters refer to an Oct. 31, 2016, meeting with Roth at which the organizations, among others, were represented. At the meeting, “we highlighted a variety of concerns,” wrote Skelton and Hatch, including “the sense of urgency among businesses” over energy supplies and high energy costs, the difficulty attract and retain “good-paying manufacturing jobs” because of those costs and the belief that Northern Pass “is an important part of the solution” of the state’s energy problem. Roth, however, sees the picture very differently. “In response I simply say that I actually did consider the need of businesses for electricity price relief and concern over price stability/volatility,” he wrote in an email to NH Business Review. Both the KRA and Brattle reports were included in a Dec. 30, 2016, SEC filing, said Roth.